A while ago, we were invited to a very cool retro summer party: cocktails and appetizers from the 60’s, and everyone contributed to the music by bringing in their favorite songs on vinyl. (I brought in a copy of the First Edition’s “Just Dropped In (to See What Condition My Condition Was In)” featuring a very young Kenny Rogers. Very trippy. 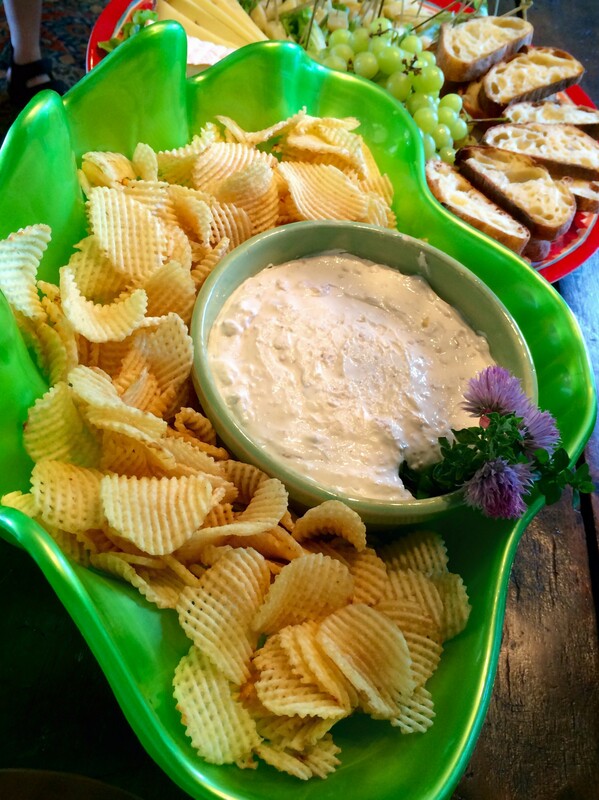 We were also asked to contribute to the apps, so we brought waffle chips with clam dip. 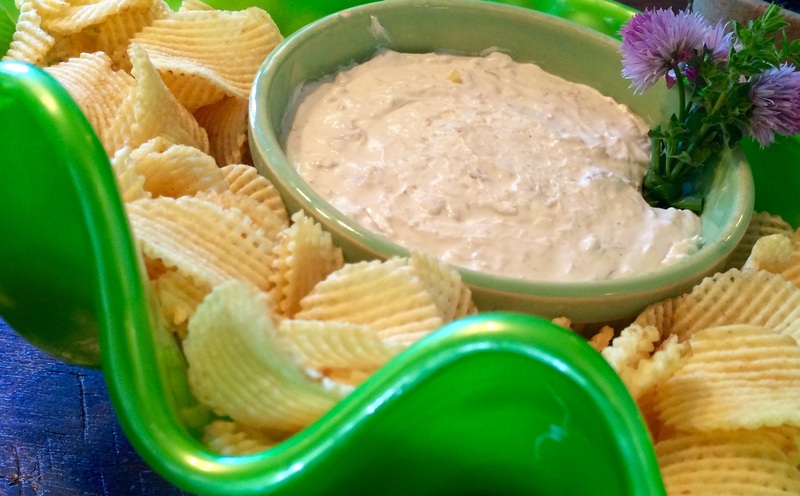 Clam dip is a classic, and it’s really easy to make. And the bowl was practically licked clean by our party-going friends! Combine all the ingredients, except the clam liquid, in a bowl and mix well with a fork. Add 1 tablespoon of the clam liquid and mix well. Keep adding the clam liquid until the dip reaches a consistency you like. We were recently invited to a very cool retro summer party: cocktails and appetizers from the 60’s, and everyone contributed to the music by bringing in their favorite songs on vinyl. (I brought in a copy of the First Edition’s “Just Dropped In (to See What Condition My Condition Was In)” featuring a very young Kenny Rogers. Very trippy. We were also asked to contribute to the apps, so I brought waffle chips with clam dip.